Every homeowner should feel proud of their home, inside and out. And although most outside-of-the-house looks are similar, there’s a way that you can stand out from the crowd and have the most beautiful yard in the neighborhood. With artificial grass, there is a multitude of ways that you can make your home one to be envious of. 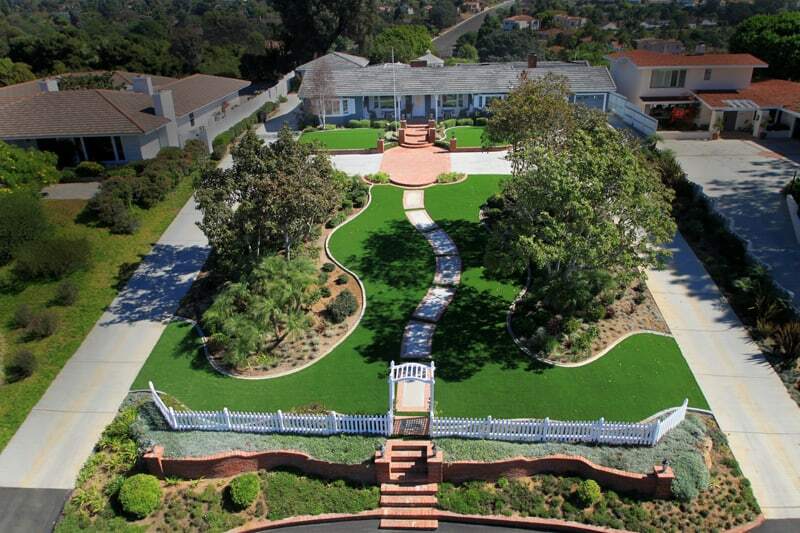 Here are just some of the ways you can use artificial grass to enhance your San Diego home. Your beloved pets are guaranteed to love your new artificial grass lawn. 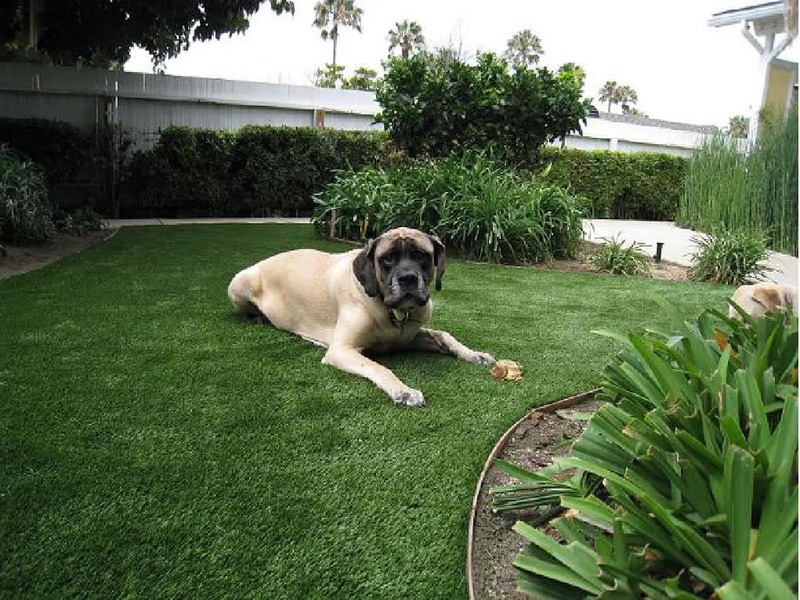 Artificial grass lawns look and feel like natural grass, making it an ideal soft surface for dogs to lay and play on. The synthetic fibers are built to withstand digging, prevent discolorations, and never stains. With the implemented drainage systems, pet urine and other liquids will flow straight through, meaning there will be no flooding or muddy paws! 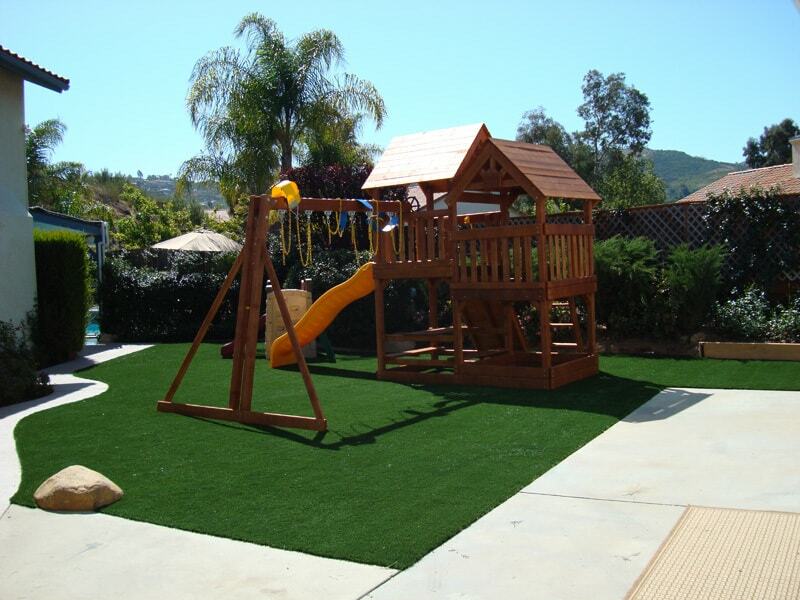 Artificial grass is an excellent playscape alternative because it is extremely durable and can withstand the roughest of kids’ play, as well as offer soft padding to help protect kids from impact injuries and falls. Synthetic turf is non-toxic, allergen-free, certified lead-free, insect-free, and mud-free! Our playground systems also feature an artificial grass infill that is coated in silicone and has antimicrobial properties to ensure a clean and sanitary outdoor play area for children. 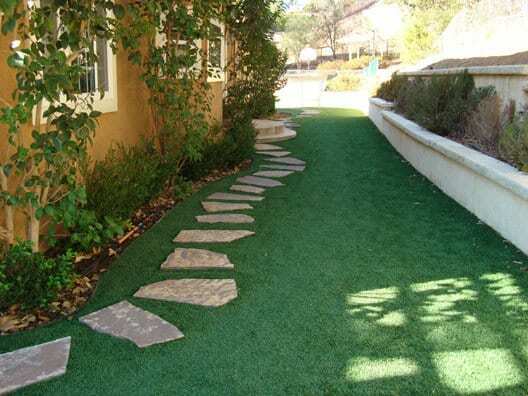 Although artificial grass is durable enough to handle people walking on it on a daily basis and still be perfectly fine, adding in unique stone pathways is a simple and functional way to give your yard dimension, and enhance the look and feel. You can wrap them around gardens, pools, playgrounds, or any other way. The possibilities are limitless. Have dreams of becoming a professional golfer? 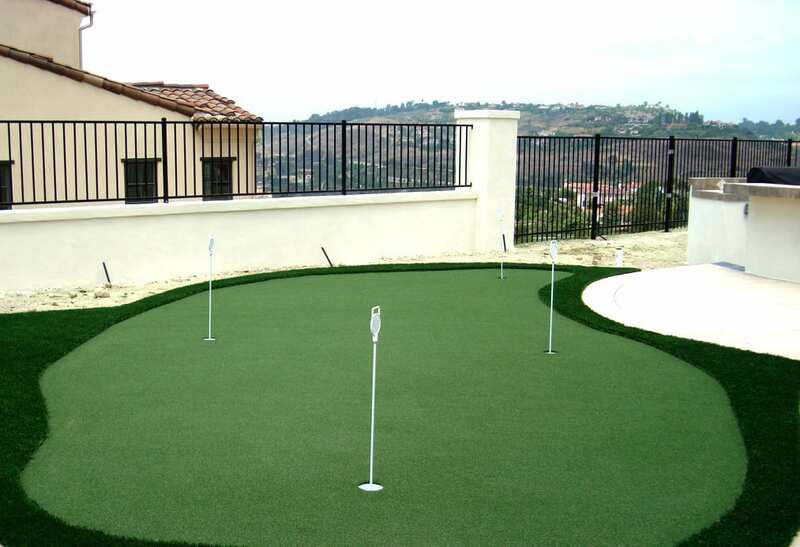 Or maybe you love to practice your short game but wish you could do it in the comfort of your own home. Luckily for you, our artificial grass putting green products allow you to get the most out of your landscape with a fun game for all. Each putting green product offers a different height and weight for golfers of any skill level. The grass fibers simulate the feel, roll, and speed from mini-golf to PGA-level courses. If you have a big yard and have no idea what to do with it, sometimes the answer is to make it green and full of life. The possibilities are truly limitless with artificial grass, and you can proudly design a yard that is unlike any other. When you work with a great team to help deliver your yard goals, you’ll end up with a home that everyone will be envious of. Have an idea about how you want to improve your home with artificial grass? SD HomeTurf is here for you! 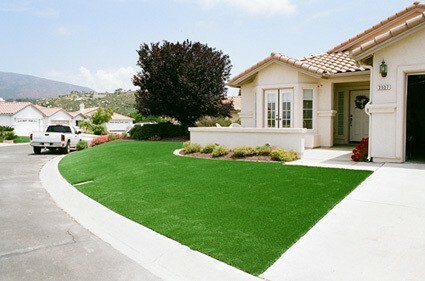 Give us a call today at (619) 467-7784 for your artificial grass installation in San Diego.